– The following prices are for adult patients. For minors, please call us as this requires additional documentation and another visit. – We prefer cash or check for payment, but we can accept credit or debit cards as a convenience (with a 3% processing fee for in-office credit/debit transactions). – Note that prices do NOT include the state mandated fee for your ID card. We obtain your medical records, provide patient education, confirm your qualifying condition, register you on the state system and typically provide you with the State Maximum, 210 day, recommendation. We do ask for a $50 deposit to make this appointment and the deposit will be deducted from the cost of the Initial Certification. For patients with a medical marijuana card who wish to recertify and renew their card. 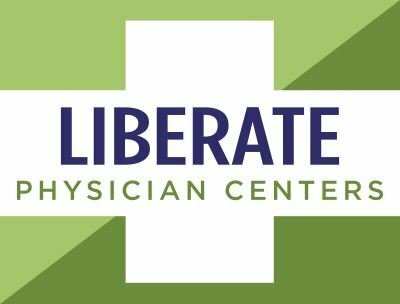 Note that your confidentiality is 100% assured as Liberate follows applicable state and federal laws requiring us to be HIPAA compliant. When you complete the form, you will be taken to a page to schedule your initial consultation.